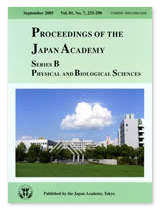 The Nara Institute of Science and Technology (NAIST) was established by the Japanese government in October, 1991, as a university composed solely of graduate schools. 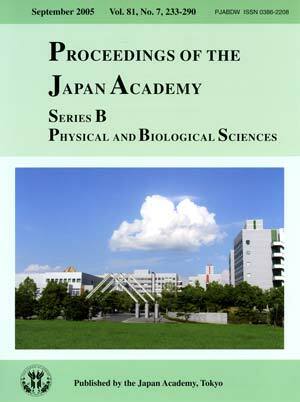 NAIST is one of the core research and educational institutions in the Kansai Science City. It is a university of new concept, with the faculty at the forefront of research, a unique philosophy and a flexible structure of research and education. NAIST promotes cutting-edge research through its three graduate schools -Information Science, Biological Sciences and Materials Science- and fosters scientists through advanced education, while setting contributions to scientific/technological advances and social development as its ultimate goal. The achievements of NAIST are highly valued, as two of its programs have been selected as educational centers of “the 21st Century COE (Center of Excellence) program” of the Ministry of Education, Culture, Sports, Science and Technology. NAIST was ranked second for “research strength” in a university analysis by the Nihon Keizai Shimbun. The photograph shows the main gate of the campus. Three triangles symbolize the three mountains in the region called Yamato Sanzan (Kagu-yama, Unebi-yama and Miminashi-yama) described in Manyoshu, the oldest collection of poems in Japan, as well as its three graduate schools. They express the message that NAIST produces leading-edge science and technology and presents them to the world from Nara, the ancient capital of Japan with thousand years of history.